Resort Club Membership is perfect for the family who is interested in enjoying a private weekend home experience without making an investment in a weekend home. As a Sundance Club Member you are part of a community where friendships are easily fostered, the staff knows your name, your preferences and is there to serve your every need! The Resort Club offers spa services, premium overnight lodging, exquisite dining and drinks, concierge services, adventure experiences, a robust swimming pool complex, cabanas, live entertainment, and so much more. Nothing replaces a personal visit to experience everything Sundance Resort Club has to offer you and your family. Resident and Non-Resident Memberships are available and great financing options are available making it easy to become part of this amazing new Private Resort Club. A quick drive from anywhere in the DFW area of north Texas; we encourage you to schedule a visit. As part of your exploration visit we will provide you with a day pass giving you full access to all our facilities along with complimentary dining, drinks and entertainment. Visits are available Thursday through Monday. Contact us today to schedule your visit! The property and homes in our community are truly unique. 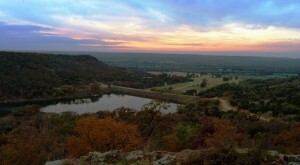 Situated high atop Clayton Mountain at 1200’ of elevation in southern Palo Pinto County the location offers you the chance to enjoy being at the hub of the Hills and Lakes Region of North Texas. 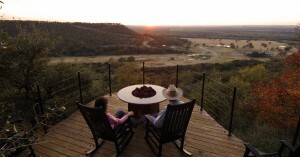 Lake Palo Pinto (5 minutes), Possum Kingdom Lake (30 minutes) and Lake Leon (30 minutes) are all conveniently located. The quaint towns of Gordon, Strawn, Santo, Mingus, Lone Camp and Palo Pinto are just a few miles away in each direction. This is the opportunity to set up roots in a location convenient to the city, yet a world away in terms of lifestyle, views and terrain. Vista homesites and completed homes are available as well as acreage homesites. Appointments are required, as being inside a private gated community all visitors must be escorted. Contact us today if you would like to schedule a personal tour of the real estate opportunities found within our community.